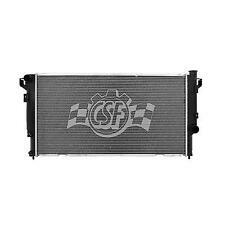 94-02 DODGE RAM 5.9 DIESEL CSF OEM REPLACEMENT RADIATOR..
Replaces oe number : 52014947AB. "CSF Intercooler --. Condition : New. Therefore all implied warranties that may apply to your part are limited to the duration of this written warranty. Each warranty gives you specific rights, and you may have other rights which vary from state to state. Trending at $283.49eBay determines this price through a machine learned model of the product's sale prices within the last 90 days. 2014-2016 RAM 1500 3.0L ECODIESEL. Each CSF OEM Intercooler is built for a higher level of durability, reliability and burst pressure capabilities. Featuring an OEM style tube/fin core that matches or exceeds the performance of the OEM Intercooler. "CSF Intercooler --. Condition : New. Therefore all implied warranties that may apply to your part are limited to the duration of this written warranty. Each warranty gives you specific rights, and you may have other rights which vary from state to state. Ensure Proper FitTo confirm that this part fits your vehicle, enter your vehicle's Year, Make, Model, Trim and Engine in the Compatibility Table. Notes: With Aluminum Tank Design. 12 Month Warranty. Tank Material: Aluminum. Notes: Intercooler -- Tech Note: O.E.M. Style Tube & Fin Core Design; OE Style Design; With Aluminum Tanks. Ensure Proper FitTo confirm that this part fits your vehicle, enter your vehicle's Year, Make, Model, Trim and Engine in the Compatibility Table. The CSF 6076 Heavy-Duty Intercooler is manufactured to provide durability and performance on your 2013-2017 Dodge 6.7L Cummins. 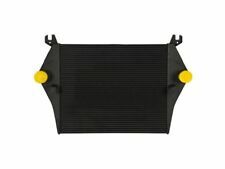 Designed with OEM specifications in mind, this upgraded intercooler features a more durable construction but still retains use of all factory hardware, mounting and components. 10-12 Dodge Ram 6.7l Turb. CSF 7100 10-12 Dodge Ram 6.7l TurbCSF 7100. Need to make a change?. Disclosure of Information Policy. Your credit card information is encrypted while traveling the Internet. CSF 7104 03-09 Dodge Ram 5.9l & 6. 03-09 Dodge Ram 5.9l & 6. Public Forums. Need to make a change?. Disclosure of Information Policy. Your credit card information is encrypted while traveling the Internet. Ensure Proper FitTo confirm that this part fits your vehicle, enter your vehicle's Year, Make, Model, Trim and Engine in the Compatibility Table. 12 Month Warranty. Tank Material: Aluminum. Part Number: 6076. 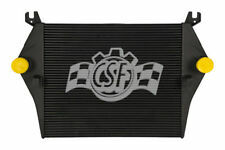 CSF provides the best Intercooler coverage in the Industry! Tech Note: Heavy Duty Plate & Bar Core Design. The general rule of thumb, decreasing intake air temperatures will increase horsepower! Ensure Proper FitTo confirm that this part fits your vehicle, enter your vehicle's Year, Make, Model, Trim and Engine in the Compatibility Table. 12 Month Warranty. Old Style with 2; Core. CSF 6076 IntercoolerCSF 6076. Need to make a change?. Disclosure of Information Policy. Your credit card information is encrypted while traveling the Internet. For their protection, we ask that children do not submit information to us without the consent of a parent or guardian. 2010 Dodge Ram 3500. 2010 Dodge Ram 2500. 2012-2011 Ram 3500. CSF tests every radiator design in-house with their state-of-the-art testing facility that includes wind tunnel, burst pressure testing, vibration testing, thermal cycle, and salt spray corrosion testing. 4.5 out of 5 stars - 94-02 DODGE RAM 5.9 DIESEL CSF OEM REPLACEMENT RADIATOR..
3 product ratings3 product ratings - 94-02 DODGE RAM 5.9 DIESEL CSF OEM REPLACEMENT RADIATOR.. FITS:2013-2017 2500 ,3500, 4500, 5500 RAM PICKUP WITH 6.7L DIESEL ENGINE only. Part Number: 6066. Warranty Duration:Other. We at Phileocom understand that parts for automotive repair are a necessity item. When cars breakdown, car owners are left with little alternative than to fix them up again. Notes: Intercooler -- Tech Note: Heavy Duty Plate & Bar Core Design; With Aluminum Tank Design; With Heavy Duty Plate/Bar Design. Ensure Proper FitTo confirm that this part fits your vehicle, enter your vehicle's Year, Make, Model, Trim and Engine in the Compatibility Table. Part Number: 6066. ; Designed & engineered for Superior Performance & Drop-in fit. The engine types may include 3.0L 2987CC 182Cu. This part fits vehicles made in the following years 2014, 2015, 2016, 2017, 2018. OEM#: 55056902AD / 55056902AE / 68069554AA. 2010 Dodge Ram 3500 6.7L DIESEL with Aluminum Tank Design, with Heavy Duty Plate/Bar Design. 2011 Dodge Ram 3500 6.7L DIESEL with Aluminum Tank Design, with Heavy Duty Plate/Bar Design. CSF Cooling 6076 High Performance Aluminum Intercooler. For those that tow heavy loads to those boost junkies who love rollin’ coal, keeping your intake-air temperature cool will maintain engine efficiency and lead to an increase in horsepower. Notes: Intercooler -- Tech Note: O.E.M. Style Tube & Fin Core Design; OE Style Design; With Aluminum Tanks. 12 Month Warranty. Warranty Coverage Policy. Core Material: Aluminum. Vehicle Engine. Part Number: 6072. Warranty Duration:Other. We at Phileocom understand that parts for automotive repair are a necessity item. When cars breakdown, car owners are left with little alternative than to fix them up again. Part Number: 6025. Warranty Duration:Other. We at Phileocom understand that parts for automotive repair are a necessity item. When cars breakdown, car owners are left with little alternative than to fix them up again. Warranty:2-year CSF limited warranty. -Choose from plastic with aluminum or all-aluminum unit assembly. Color/Finish: Black. 1994 Dodge Ram 2500 5.9L TurboDiesel Intercooler with Aluminum Tank Design, with Heavy Duty Plate/Bar Design. 1995 Dodge Ram 2500 5.9L TurboDiesel Intercooler with Aluminum Tank Design, with Heavy Duty Plate/Bar Design. The engine types may include 3.0L 2987CC 182Cu. This part fits vehicles made in the following years 2014, 2015, 2016, 2017, 2018. ; Designed & engineered for Superior Performance & Drop-in fit. Style Tube &Fin Core Design;. Part Number: 6076. Warranty Duration:Other. We at Phileocom understand that parts for automotive repair are a necessity item. When cars breakdown, car owners are left with little alternative than to fix them up again. 2007 Dodge Ram 2500 5.9L TurboDiesel Intercooler with Aluminum Tank Design, with Heavy Duty Plate/Bar Design. 2008 Dodge Ram 2500 5.9L TurboDiesel Intercooler with Aluminum Tank Design, with Heavy Duty Plate/Bar Design. Part Number: 6009. Warranty Duration:Other. We at Phileocom understand that parts for automotive repair are a necessity item. When cars breakdown, car owners are left with little alternative than to fix them up again. 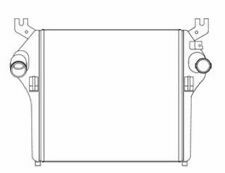 Portions of the part information on this page have been provided by WHI Solutions, Inc. ALL WARRANTY STICKERS MUST BE INTACT. ALL SERIAL NUMBERS HAVE BEEN RECORDED. OEM #s: 55056902AD / 55056902AE / 68069554AA. "CSF Intercooler --. Choose from plastic with aluminum or all-aluminum unit assembly ". Material : Aluminum. Color/finish : Natural. Product fit : Direct Fit. The warranty is subject to the General Warranty Limitations below.